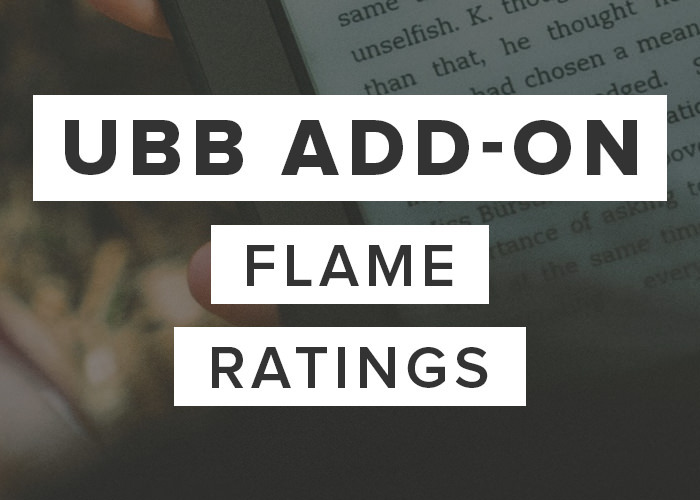 The Flame Ratings add-on is an extension for the Ultimate Book Blogger plugin. It adds a second rating system for “flames” where you can decide how risqué a book is, from 0-5. 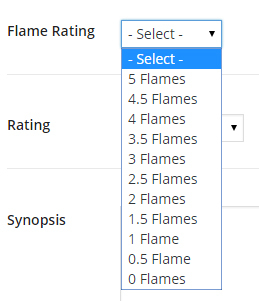 A new dropdown is added to each post where you can select your flame rating. It works very similar to selecting a normal star rating, but this one is for sexiness! Once you’ve chosen your flame rating, the corresponding graphic will be displayed with your book review. The add-on has a simple settings panel that’s very similar to the normal Ratings section. 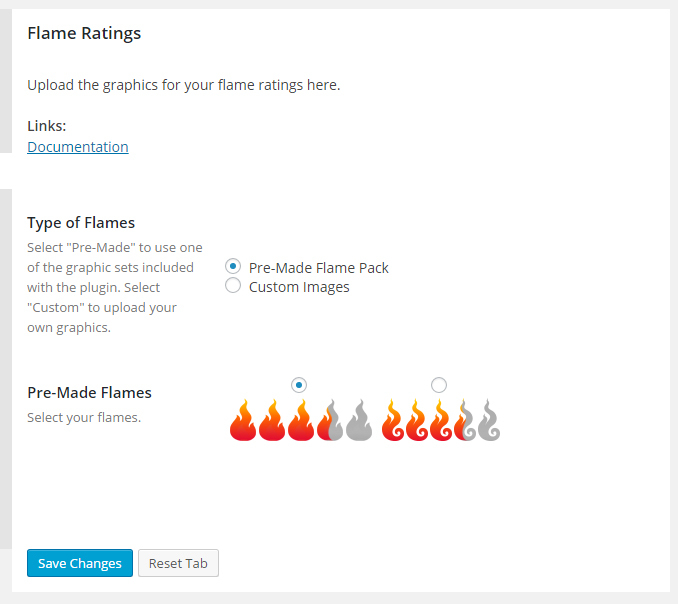 You can choose from the pre-made flame graphics (two options are available, as shown) or you can upload your own. 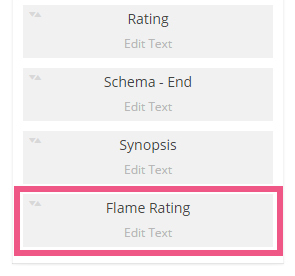 A new box is added to the book information Configuration section called “Flame Rating”. You can drag this box wherever you want in the configuration and edit the text/HTML associated with it. When enabled, this box will show your selected flame rating for the book and display it automatically on the page. This shortcode adds the correct flame graphic for you automatically! When you purchase this add-on, you receive a license key that entitles you to 12 months of free support (for one site) and automatic updates (for one site) through your admin panel. When the 12 months is up, you’ll have an option to renew your license key for another year. Regardless of whether or not you choose to renew, you’ll have lifetime access to the plugin file. This add-on requires at least version 3.0.9 of the Ultimate Book Blogger Plugin. Fix: Error in code for support for UBB versions lower than 3.4. Fix: Flame rating for book #0 sometimes not saving.